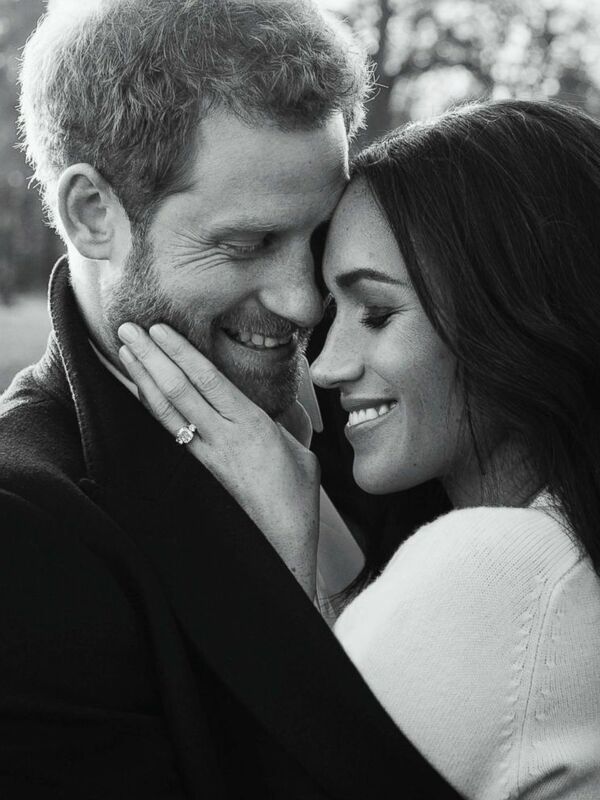 The world got another look today at the future of Britain's royal family with the release of Prince Harry and Meghan Markle's official engagement photos. 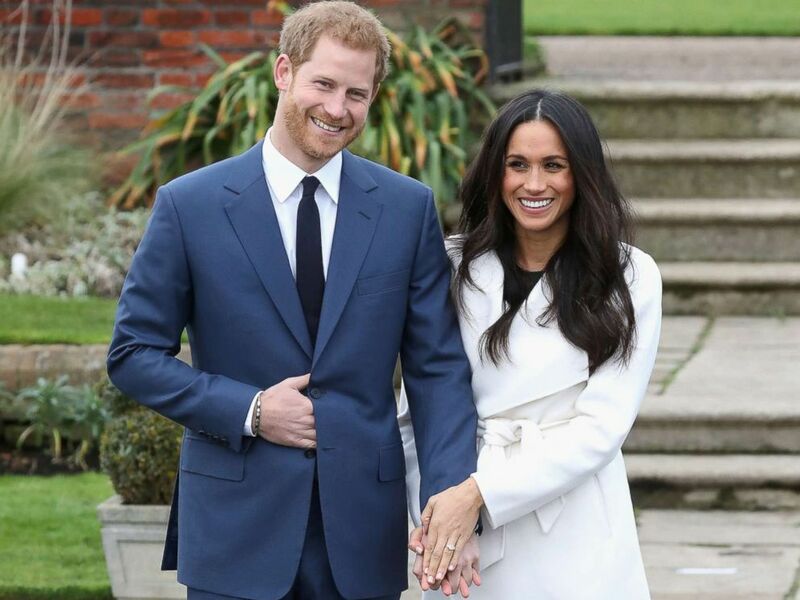 The new photos show Harry, 33, and Markle, 36, embracing each other, posing with Markle's hand on Harry's knee and walking hand-in-hand. In this photo released by Kensington Palace, Dec. 21, 2017, Britain's Prince Harry and Meghan Markle pose for one of two official engagement photos, at Frogmore House, in Windsor, England. In two of the photos Markle is wearing a dress by Ralph and Russo. 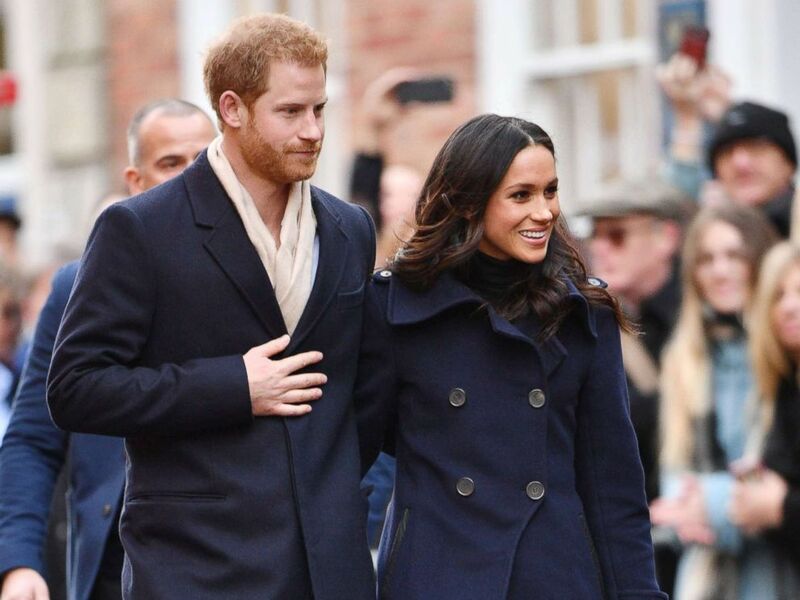 In the other, Harry is wearing a coat by Burberry and Markle is wearing a sweater by Victoria Beckham. Britain's Prince Harry and Meghan Markle pose for one of two official engagement photos, at Frogmore House, in Windsor, England, in this photo released by Kensington Palace, Dec. 21, 2017. All three photos showcase Markle's engagement ring, which features diamonds from Botswana and the personal collection of Harry's mother, the late Princess Diana. The photos were released today by Kensington Palace. The third photo, showing Markle and Harry embracing as they walk, was shared later on Instagram at the couple's request. The new photo shows the full length of Markle’s dress, which is reported to cost around $70,000. In this photo released by Kensington Palace, Dec. 21, 2017, Britain's Prince Harry and Meghan Markle pose an official engagement photo, at Frogmore House, in Windsor, England. "Thank you so much for all of the wonderful comments following the release of Prince Harry and Ms. Meghan Markle's engagement photographs," reads the photo's caption. "The couple are so grateful for the warm and generous messages they have received during such a happy time in their lives. As a way to say thank you, they have decided to share this candid photograph from the day of their portrait sittings directly with all of you." 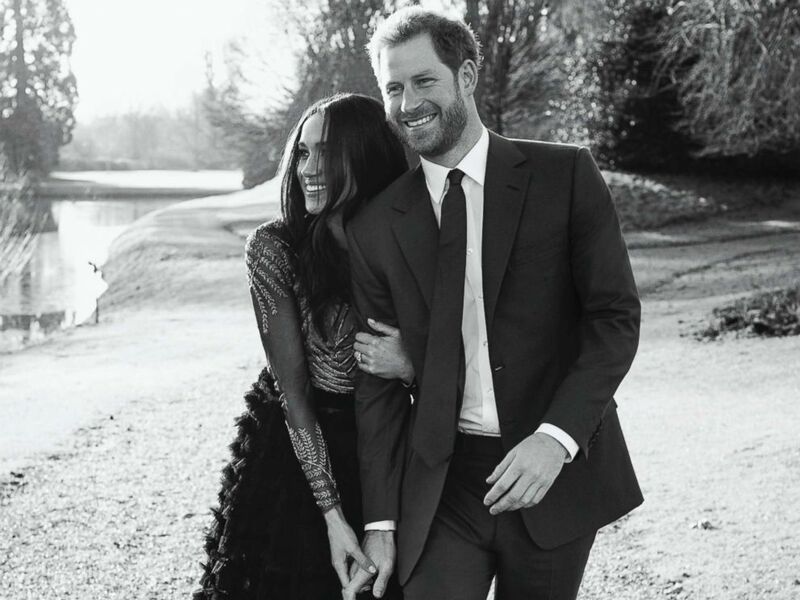 The photos were taken by photographer Alexi Lubomirski this week at Frogmore House in Windsor, according to Kensington Palace. 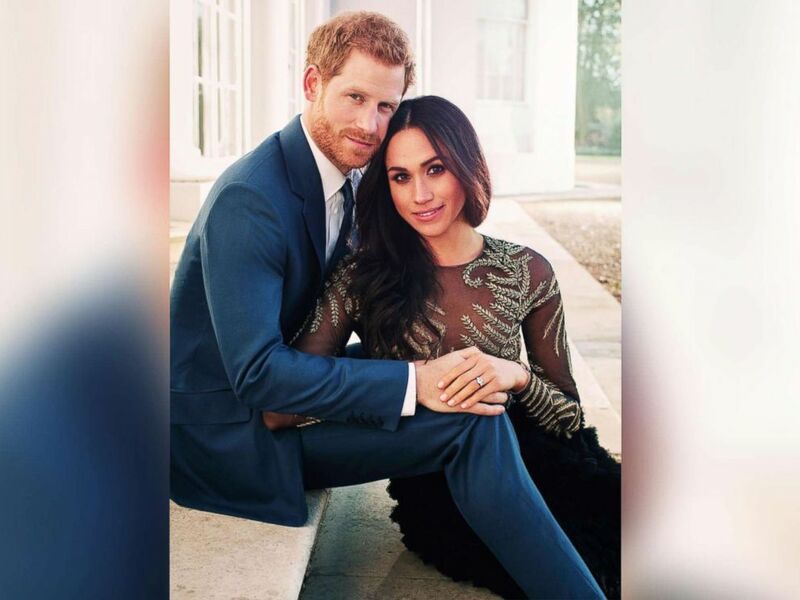 "Prince Harry and Meghan considered a number of options but were very impressed by Alexi’s style of photography, and felt it was well-suited to the occasion," said a royal source. Lubomirski is a former assistant to Mario Testino, who was Diana's favorite photographer and the photographer behind many shots of Prince William and Princess Kate and William and Harry with their mother. His work has appeared in Vogue and other high-fashion magazines and he has photographed stars including Julia Roberts, Nicole Kidman and Beyoncé. Lubomirski called it "a great privilege" to see Markle's and Harry's love for each other. "It was an incredible honor to be asked to document this wonderful event, but also a great privilege to be invited to share and be a witness to this young couple’s love for one another," Lubomirski said in a statement released by Kensington Palace. "I cannot help but smile when I look at the photos that we took of them, such was their happiness together." Harry and Markle plan to marry on May 19, 2018, at St. George’s Chapel at Windsor Castle. The location of the wedding reception has yet to be announced. The couple’s engagement was announced on Nov. 27 by Clarence House, the office of Harry's father, Prince Charles. Prince Harry and Meghan Markle pose for photographers during the announcement of their engagement at the Sunken Gardens at Kensington Palace on Nov. 27, 2017 in London. The couple attended Queen Elizabeth's pre-Christmas lunch at Buckingham Palace for the first time together on Wednesday. The lunch was an opportunity for Markle, a Los Angeles native, to meet some of the more distant relatives ahead of her wedding to Harry. PHOTO:Prince Harry and Meghan Markle leave Kensington Palace for the Royal Christmas lunch at Buckingham Palace, London, Dec. 20, 2017. In a break from tradition, Markle will spend Christmas with Harry and members of the royal family at Sandringham, Queen Elizabeth's estate. In the past, fiances of royal family members have not been included in the festivities at Sandringham. 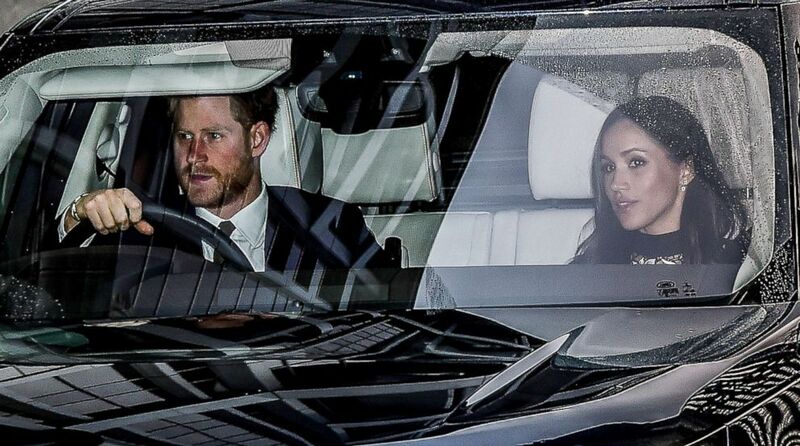 Markle made her first official post-engagement appearance with Harry on Dec. 1. The couple traveled to Nottingham to mark World AIDS Day and meet with students at a local school. Britain's Prince Harry and his fiancee Meghan Markle arrive at the Terrence Higgins Trust World AIDS Day charity fair, in Nottingham, England, Dec. 1, 2017. 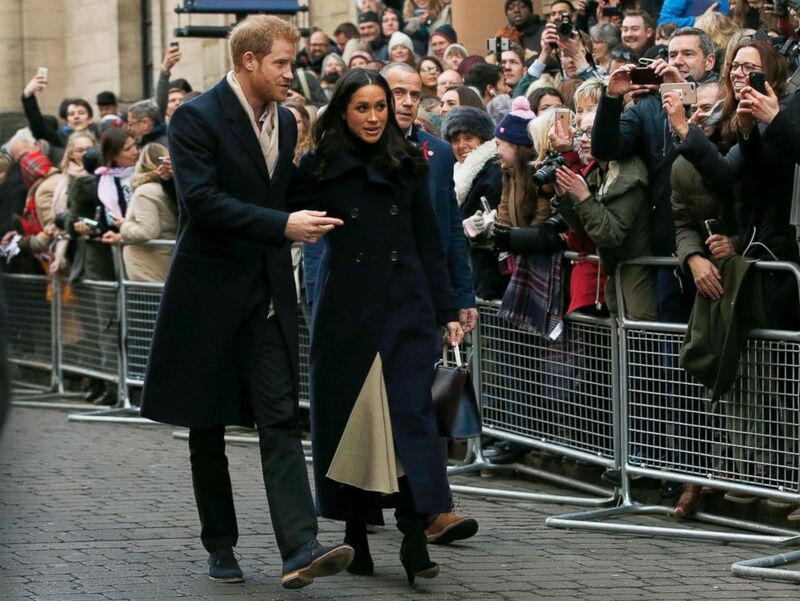 Markle and Harry did a traditional royal walkabout, during which Markle was met with cheers and the waving of both U.S. and U.K. flags. Prince Harry and Meghan Markle visit the Terrence Higgins Trust World AIDS Day Charity Fair, in Nottingham, England, Dec. 1, 2017.